a little kyurii a day: kyurii is planting a tree! kyurii is planting a tree! for the lovely lovely illustrations seen here, they are all from sokkuan. see more of her works at IRO IRO . 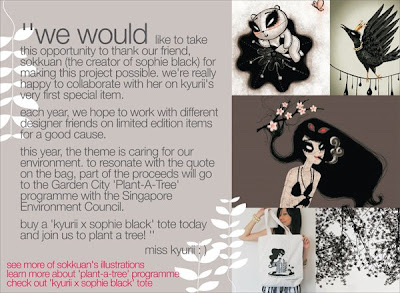 kyurii x sophie black tote!